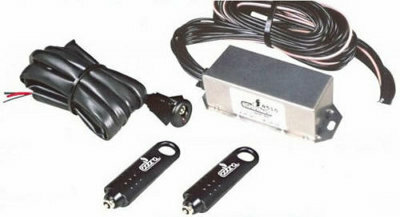 List of Thatcham devices factory fitted to vans from Citroen, Fiat, ford, Iveco, LDV, Mercedes Benz, Nissan, Peugeot, Renault, Toyota, Vauxhall, Volkswagen. Factory fitted Thatcham alarms and immobilisers for Citroen Berlingo, Dispatch, Nemo, Relay. 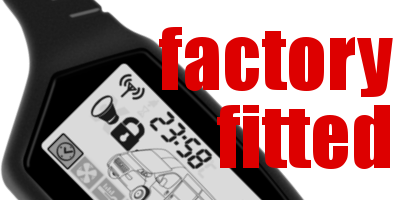 Factory fitted Thatcham alarms and immobilisers for Fiat Doblo, Ducato, Florini, Scudo. Factory fitted Thatcham alarms and immobilisers for Ford Transit, Connect, Ranger, Fiesta van. Factory fitted Thatcham alarms and immobilisers for Iveco Daily City Truck. Factory fitted Thatcham alarms and immobilisers for Nissan Kubistar, NV200, NV400, Primastar, Interstar, Vannette. Factory fitted Thatcham alarms and immobilisers for Peugeot Bipper, Boxer, Expert, Partner, 206, 207. Factory fitted Thatcham alarms and immobilisers for Renault Kangoo, Master, Trafic. Factory fitted Thatcham alarms and immobilisers for Toyota Dyna, Hiace, Hilux. Factory fitted Thatcham alarms and immobilisers for Vauxhall Movano, Vivaro, Combo, Corsa. Factory fitted Thatcham alarms and immobilisers for Volkswagen Caddy, Crafter, Transporter, Amarok.